It’s about that time! Soon, temperatures will drop and Halloween will be here before you know it. If you are anything like me, you prefer to dress in nerdy-themed costumes. However, I do not wish to spend $200+ on a Halloween costume each year (particularly after I’ve spent close to that on a convention costume…), nor do I have time to make my own this year. Enter the pre-made costume. Often, these costumes look as cheap as they are, but luckily for you, I’ve scoured the Internet to find some of the best-looking inexpensive nerdy costumes for Halloween. None of these costumes will set you back more than about $60. My sister wore this costume to a convention last year and I was impressed by the quality for the price. 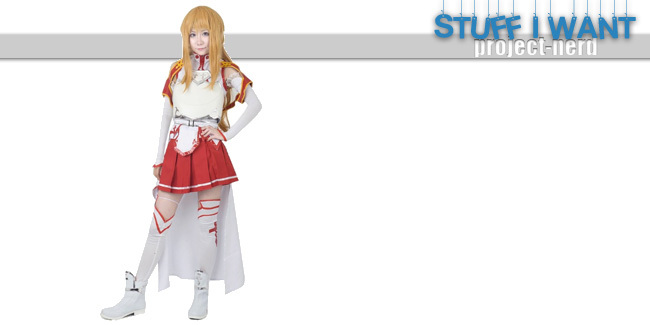 Anyone who has seen SAO will recognize this costume. 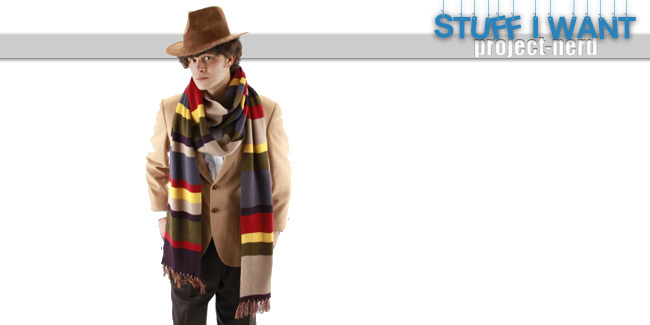 Doctor Who fans instantly recognize this long and atrocious scarf that the fourth Doctor wore. Slap this on over almost anything for the easiest costume in the world. 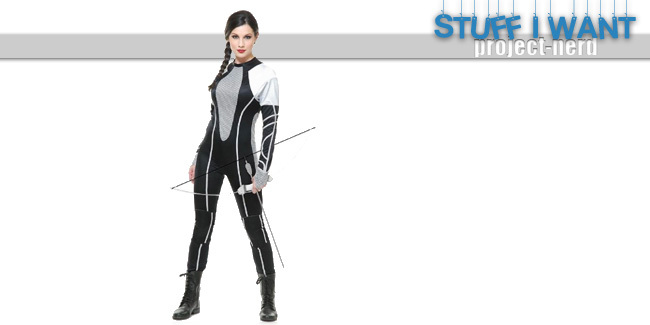 This battle costume for Katniss not only looks authentic, but it also looks sleek and wholly awesome. 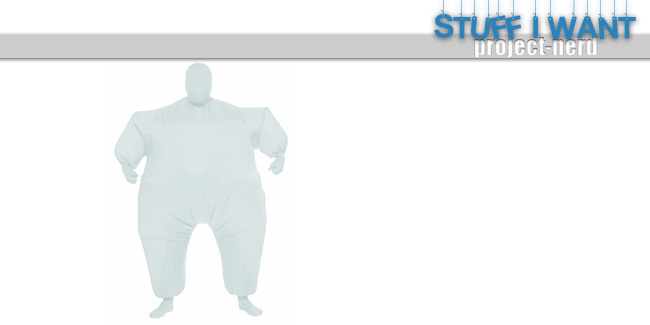 This inflatable suit is the perfect base for Baymax. Just add the armor plates and eyes with permanent marker and you are good to go! 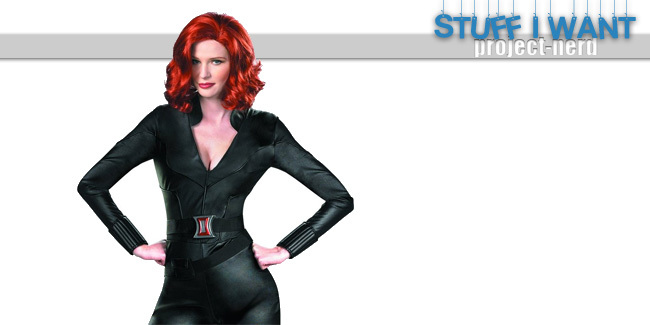 This Black Widow costume is manufactured directly from Marvel, so it’s fairly authentic. You can’t beat the price for this! This costume could also pull double-duty as any black-suited heroine from any franchise. 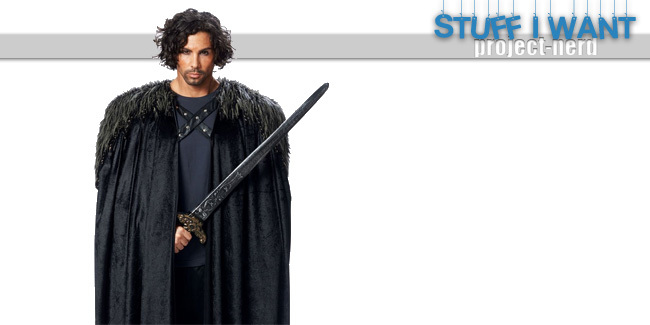 Become a member of the Night’s Watch with this black and intimidating cape. Your friends will definitely want to join up with you. The Night’s Watch would be a great costume idea for a group of guy friends. And if it comes down to the absolute wire for you, don’t miss this list of extremely last-minute geeky costume ideas. Do you know what you will be for Halloween yet? Tell us your idea in the comments!